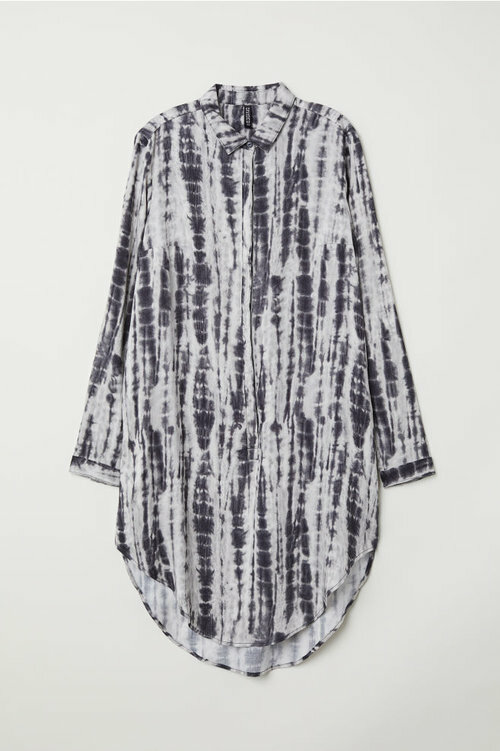 Jersey Tunic. Available in three colors. H&M. $24. 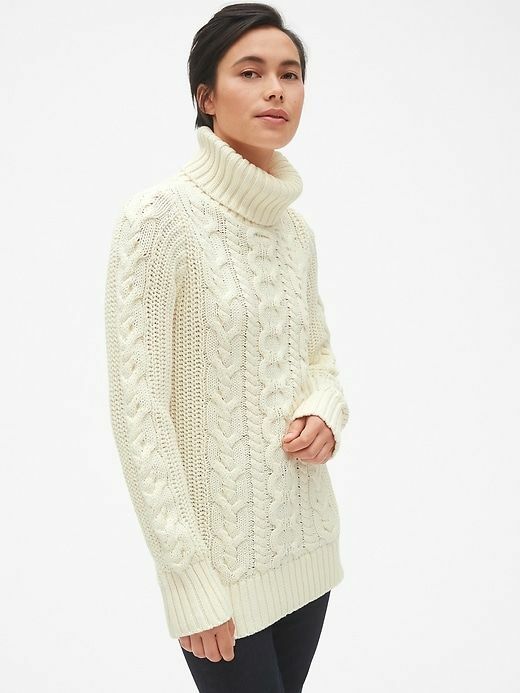 Cable-Knit Turtleneck Tunic Sweater. Available in multiple colors. Gap. Was: $59. Now: $42. I got mine at H&M a number of years ago. It happens to be orange, so that's a nice bonus. But, totally unnecessary. Look for something that is not clingy, ideally in cotton jersey or a knit. Flannel works well, too. If you have an hourglass shaped body, you can rock a more form fitting jersey dress (as long as it is still comfortable). Feel free to belt a shirt dress to create curves on a rectangle shaped frame. Or, simply opt for an oversized option for triangles or diamonds. 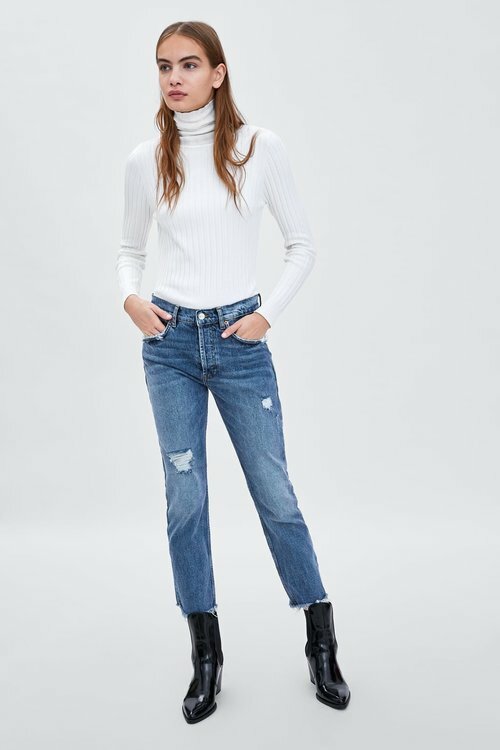 SLOUCHY MID-RISE SLIM JEANS. Zara. $49. High-Rise Corduroy Pants. Available in two colors. Forever 21. $17. 2. Hip Leggings or jeans. Depending on your personal style either leggings or jeans work well. I tend to let me footwear guide me between the two. If I'm going to wear knee high rain boots, leggings win. After all, they are much more comfortable tucked into high boots. If I'm opting for ankle boots, then I'll wear jeans rolled up. Again, you can move and your look is both effortless and chic. Full disclosure: I’m not a huge fan of leggings. In fact, outside of the pumpkin patch, I recommend steering clear of them unless there is something stellar about them- like vegan leather, for instance. Original Tall Rain Boot. Multiple colors available. Nordstrom. $150. 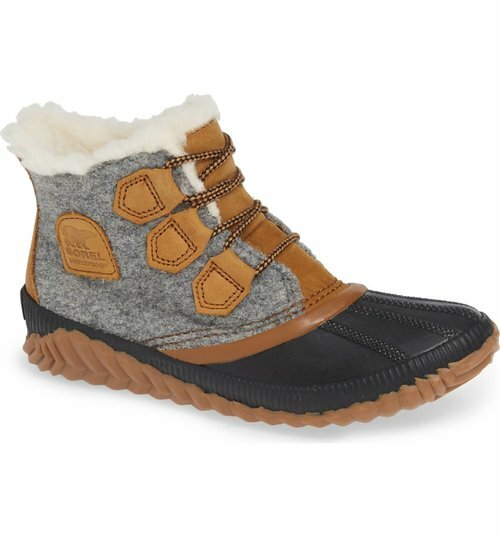 Sorel Out N About Plus Waterproof Bootie. Multiple colors available. Nordstrom. $120. Chelsea Rain Boot. Available in multiple colors. $99. Women's 3 in 1 Long Cotton Parka. Available in two colors. Lands End. $279. Trina Turk Tenley Asymmetrical Collar Coat. Nordstrom. $385. Rib-knit Tube Scarf. H&M. $12. Knit Cashmere Hat. Available in 2 colors. H&M. $29. Cashmere Beret. Available in multiple colors. Anthro. $98.